The first impression I got from the series story was Malcolm trying his hand at a longer narrative across levels. This is still the case but the tone changed quite a bit when I realized that the plot read more like one of those naive science fiction serials a la Commando Cody. Once it gets off Earth, of course, which is a totalitarian dystopian nightmare. 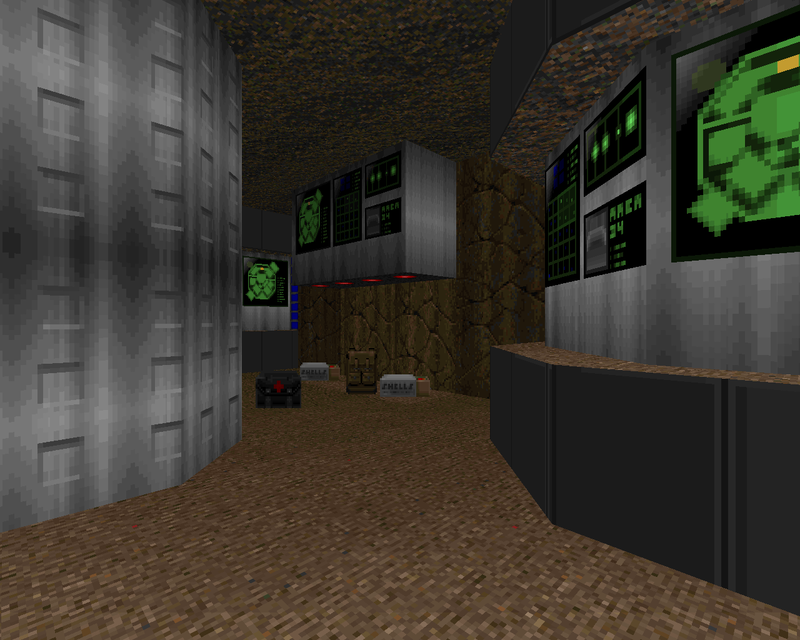 You're a prisoner who is sent on a suicide mission to destroy an alien base on _the sun_, which is being _poisoned_. Afterward, you hijack one of their ships to travel to their home planet. You battle your way through an unusual underground city before escaping to the surface where they apparently dare not tread. 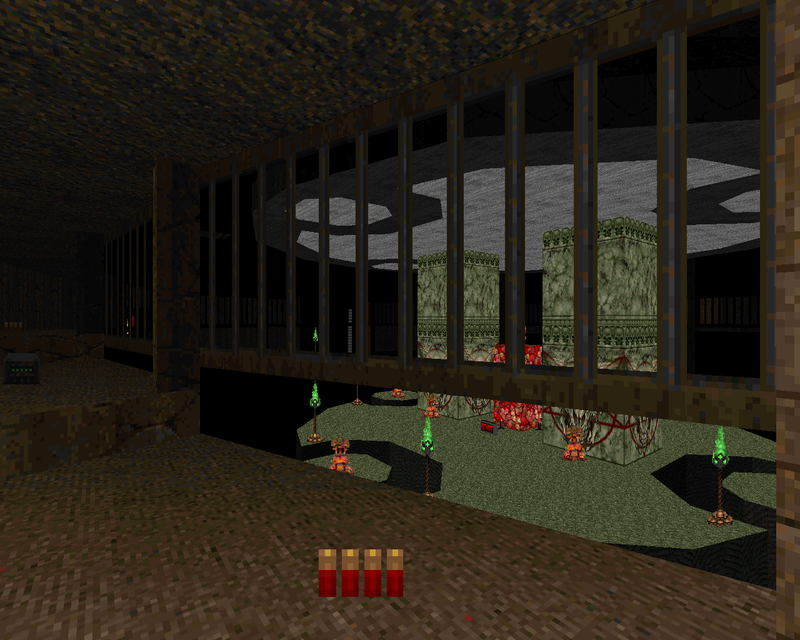 In NOSUN4 you delve back downstairs in order to defile the temple to their alien God. Sailor senses that this is one of his weaker entries and I'm inclined to agree. It has nothing to do with its appearance; rather, almost all of the gunplay is incredibly awkward from the first shot fired to the final encounter. Player mobility is at an all-time low and you're thrust into situations fielding space-hogging cacodemons, meat-sink Hell knights, and homing rocket revenants. The imps and HKs guarding the combat shotgun make up one of the worst spots as they're inclined to push you back to the doorway. 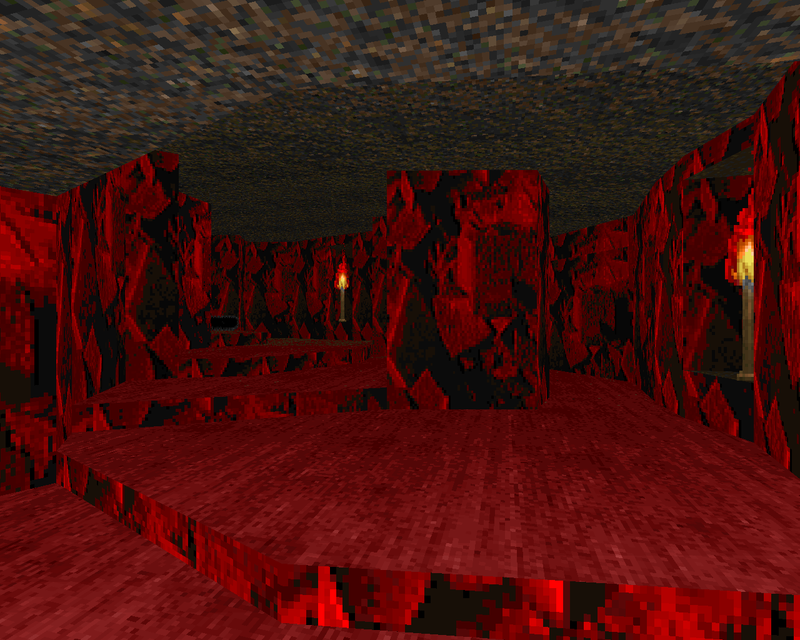 The demon / cacodemon rush gives you a pretty good taste of what's to come, too, since you have to be careful not to saw across the linedefs and the safest strategy for big red involves killing two and then running past the third to grab the boxes of shells. What few revenants you'll find serve as obstacles that aren't quite as grueling but just as dangerous. 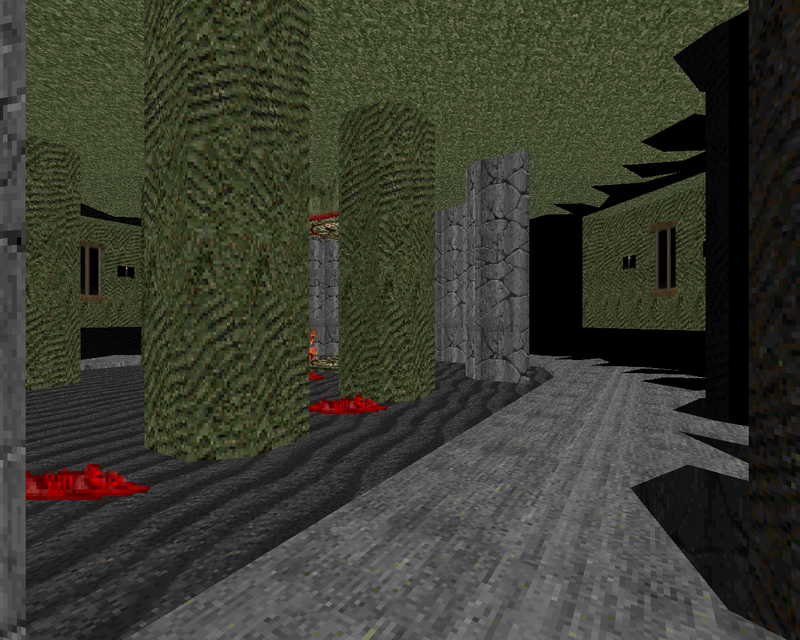 The first inner sanctum screws you up since the jagged fissures radiating outward are player-blocking. They result in irregular movement-killing pockets so it's dangerous to try and dodge while you're near them. The finale... not so bad. You can hang back and pick off the slow-teleport imps and even gently shotgun down the guardian arch-vile since he is wisely allowed to walk up to the edge of the central dais. I had a lot more fun with the plasma gun / mancubus showdown since I could actually move around a little and not feel like I was taking an unnecessary risk. For something so short, the overall action of the level feels very slow. As far as underground temples go, it's pretty good. 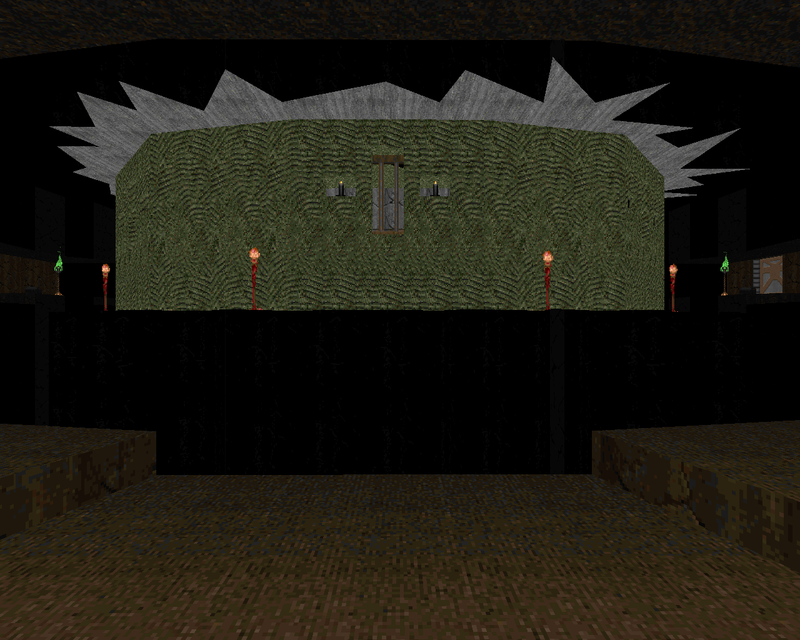 I was thinking that there'd be more of the red rock cavern where you start but the overall theme is very "Circle of Death"-ish in its use of stone textures and green ZIMMER. 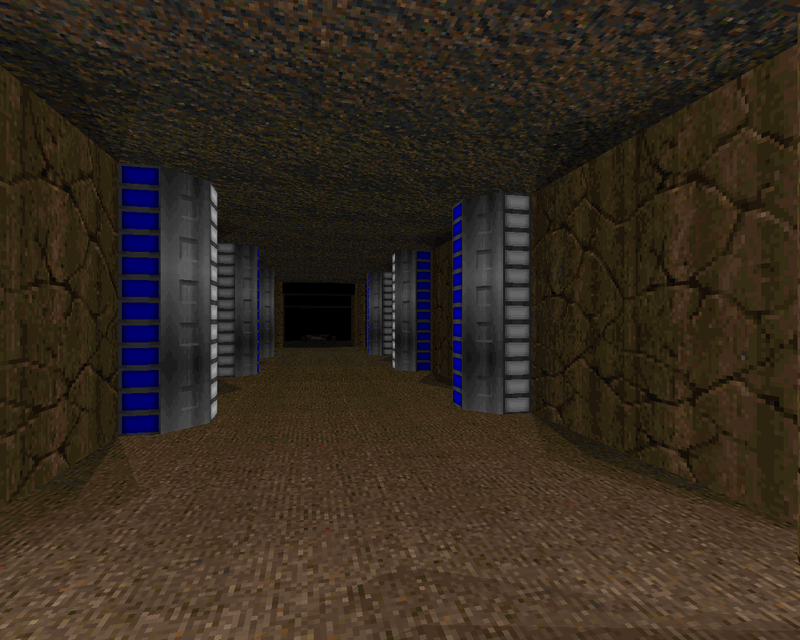 It kind of reminds me of the GothicDM 2 scrap that got modified into Slayer's untitled bonus level but they're not much alike apart from both being underground and featuring raised platforms. Malcolm didn't go out of his way in terms of lightcasting but he has some nice bright / dark contrast going on so the moody atmosphere is on point. It feels more in line with the claustrophobic action of NOSUN2 than the first or third levels of the series. No Sun 4 would be a disappointing note to end on so I'm glad that Sailor didn't end the adventure here. It's an interesting climax to be sure but the particulars leave a lot to be desired. I'll see you in NOSUN5, where our intrepid hero fights his way off the alien planet.